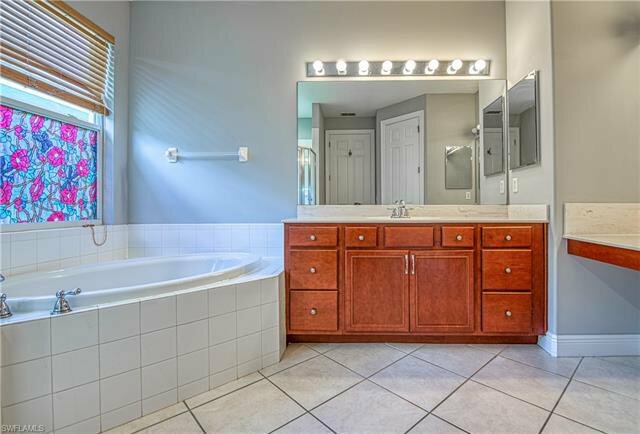 Enjoy this award winning Saranac Model by Toll Brothers!! 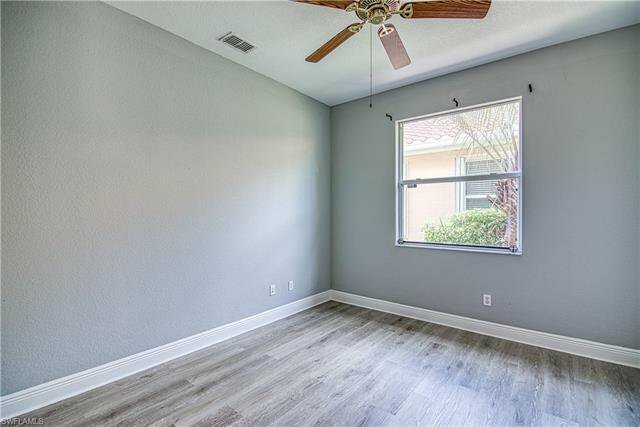 Roof replaced in 2018 with transferable warranty. 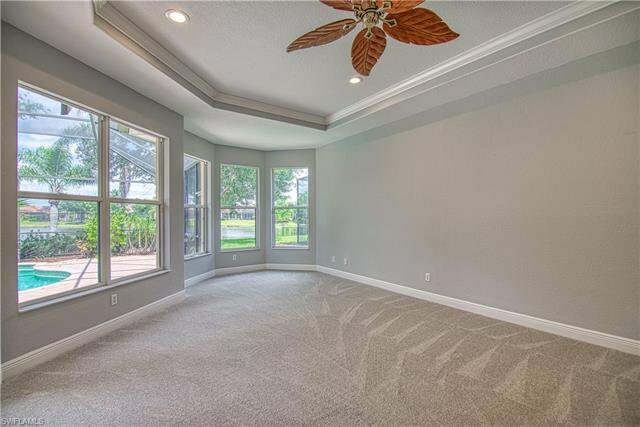 Move in ready with new paint, new flooring, and led lightning. 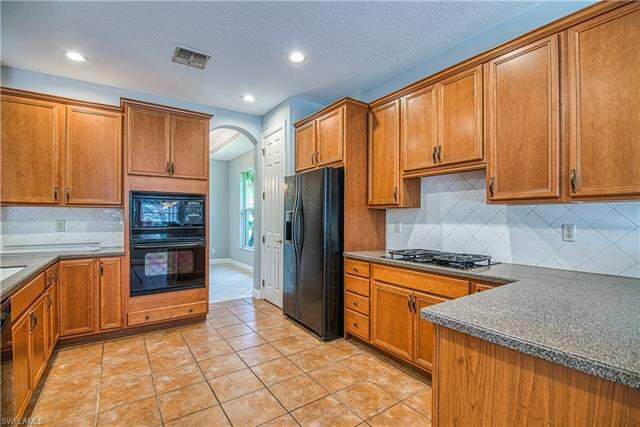 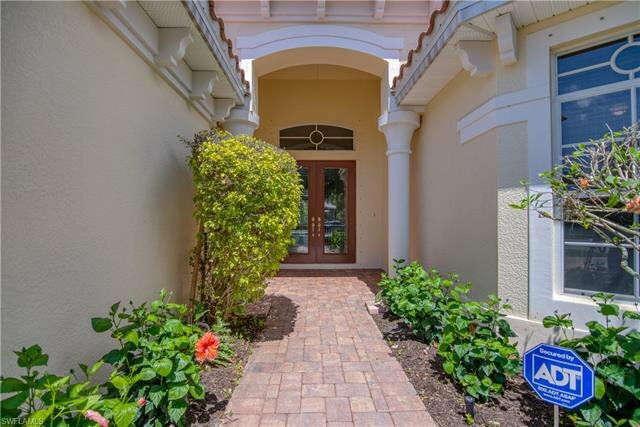 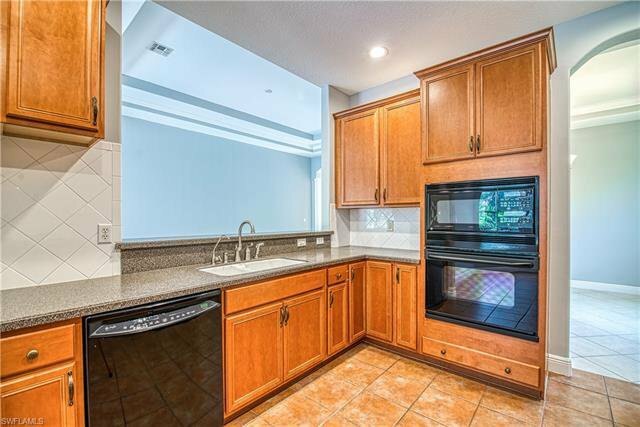 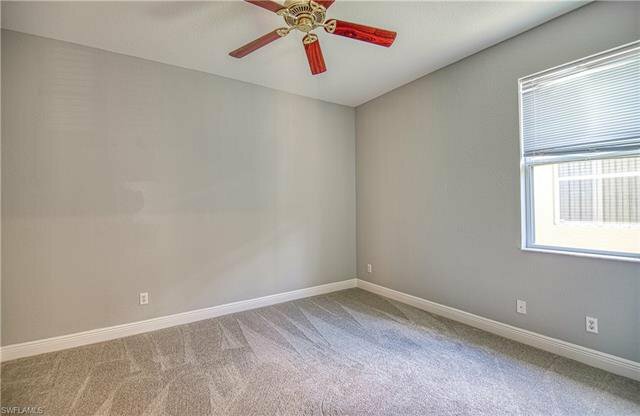 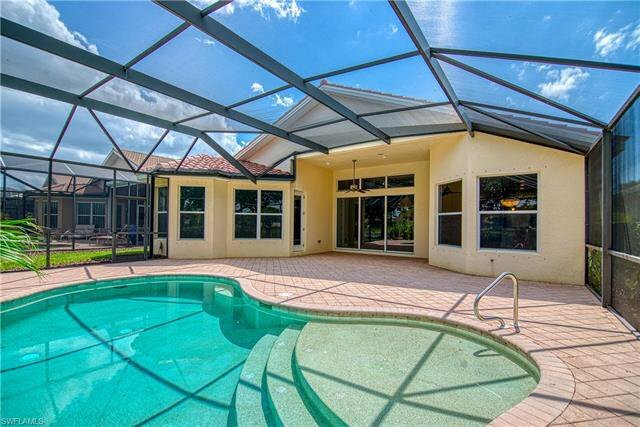 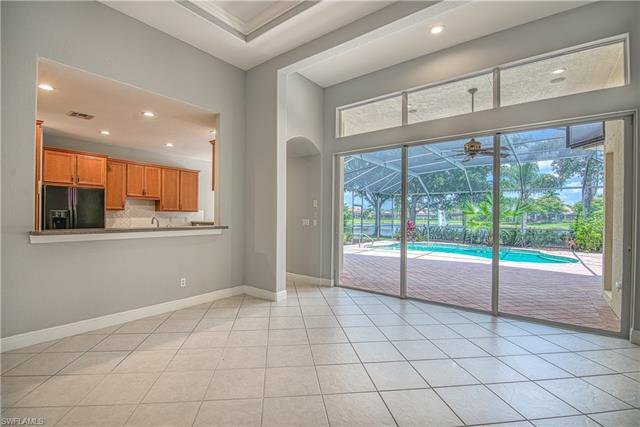 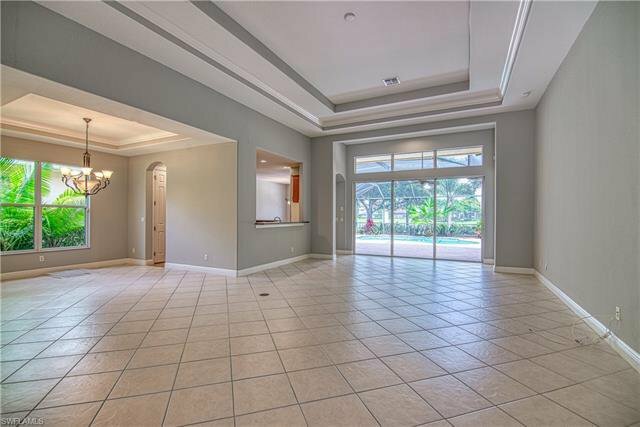 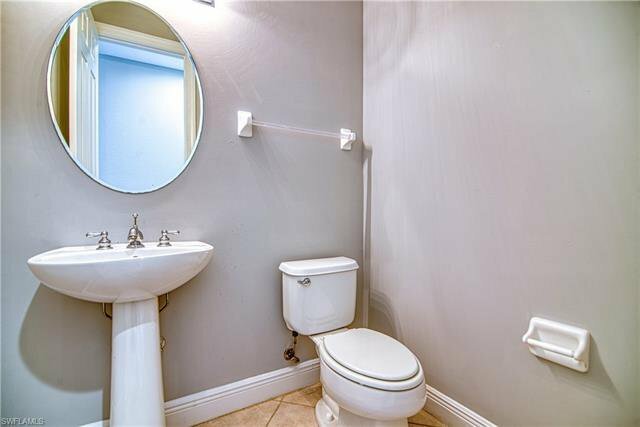 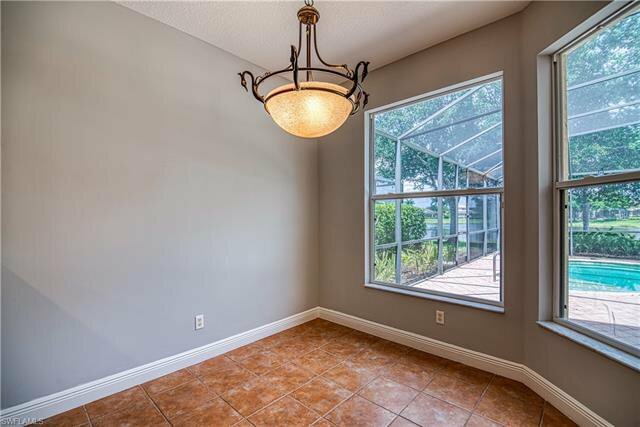 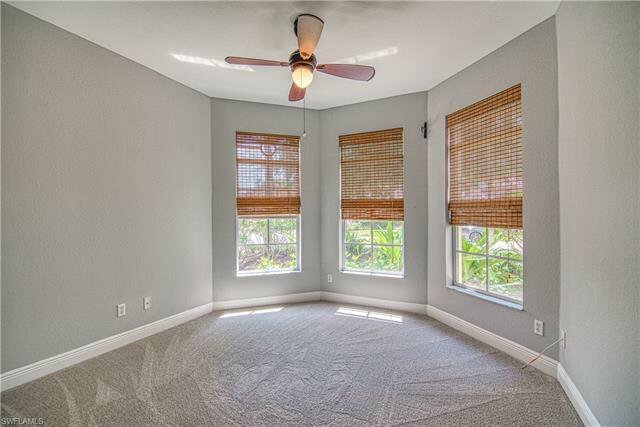 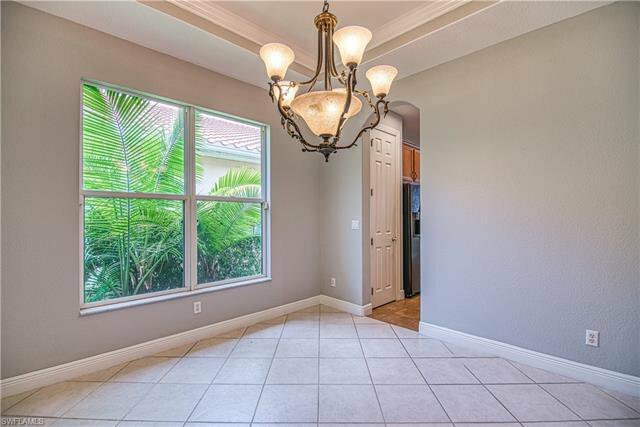 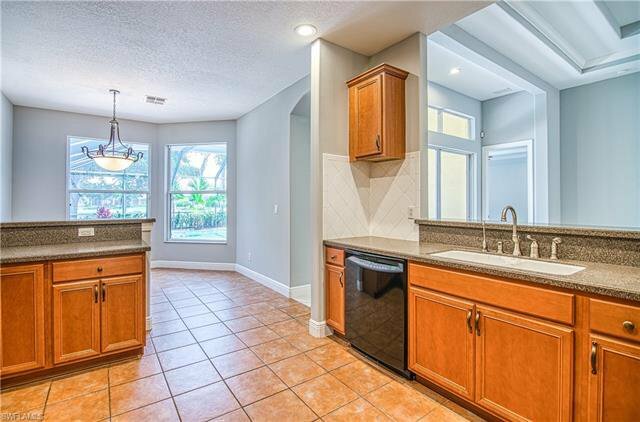 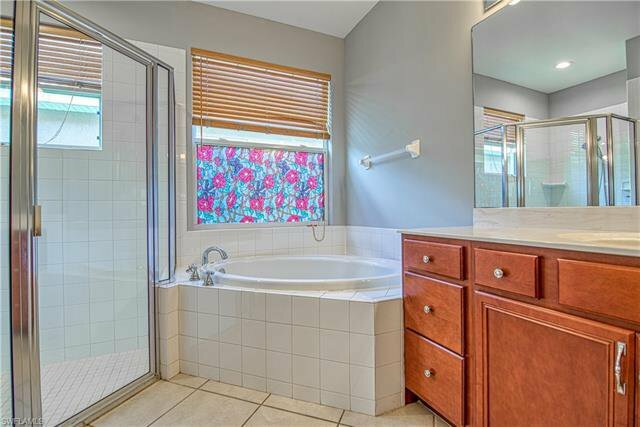 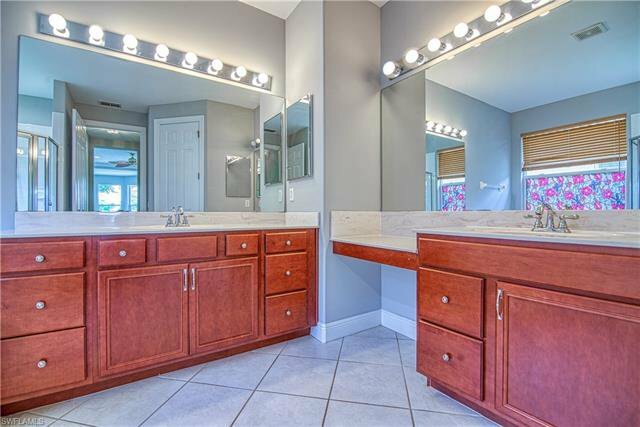 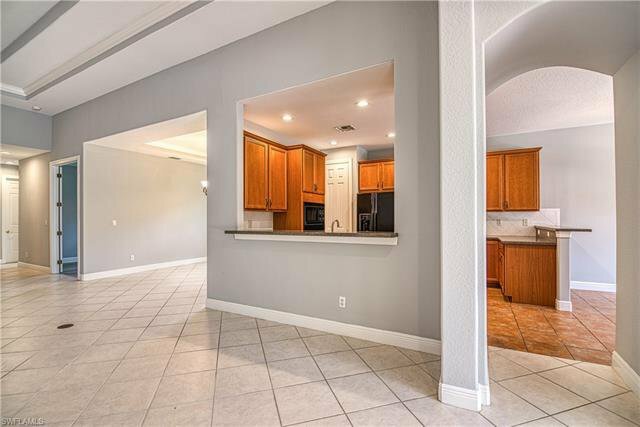 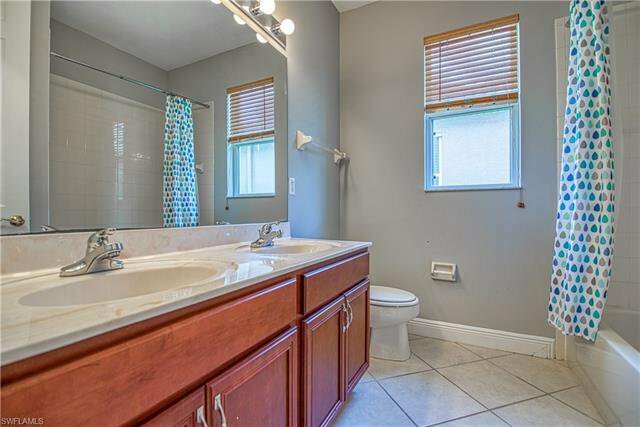 This home features 12-14 foot ceilings, oversized master bedroom, tile flooring throughout with the exception of the bedrooms and den, double full size glass front doors, entryway floor medallion, corian countertops, gas heated pool, gas water heater, and gas stove. 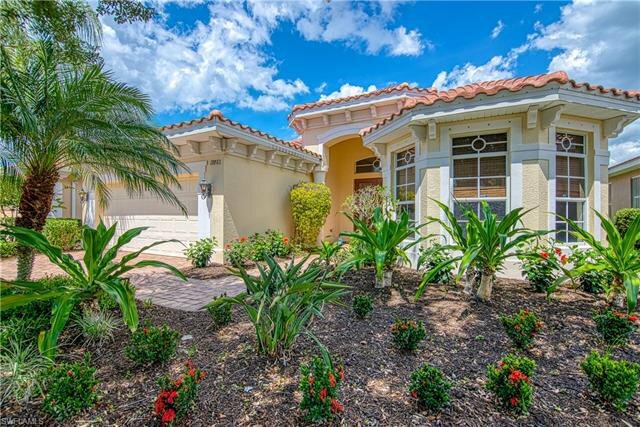 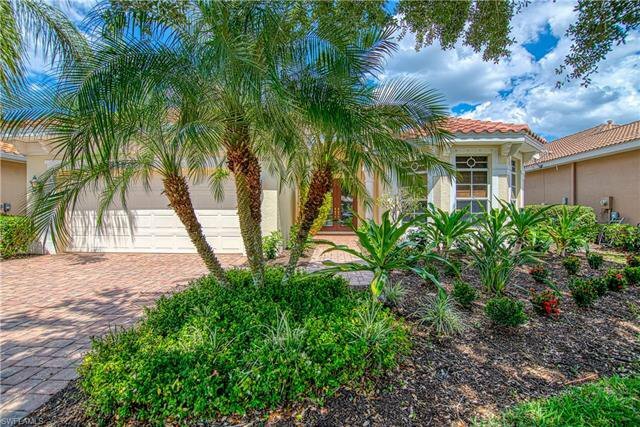 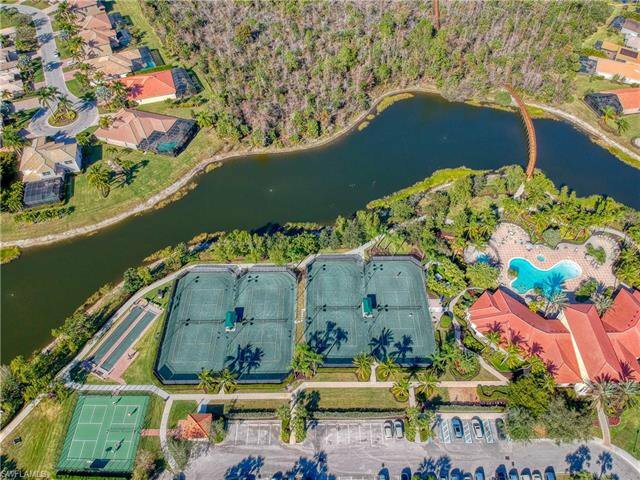 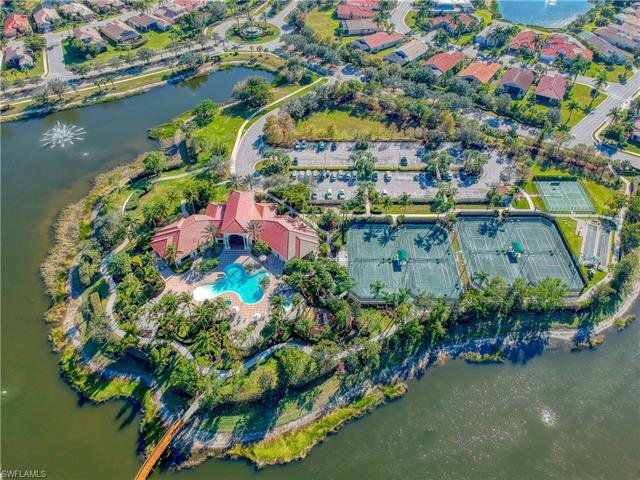 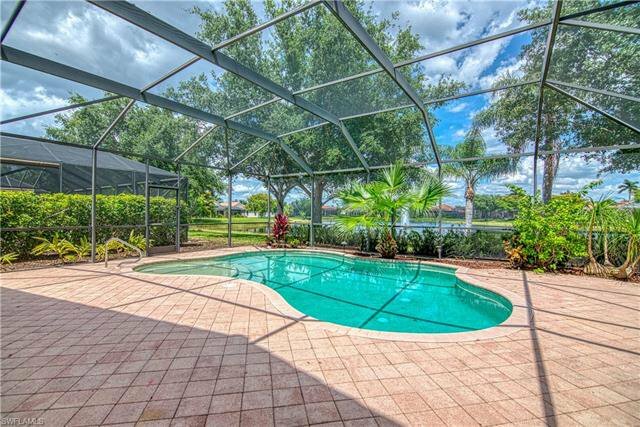 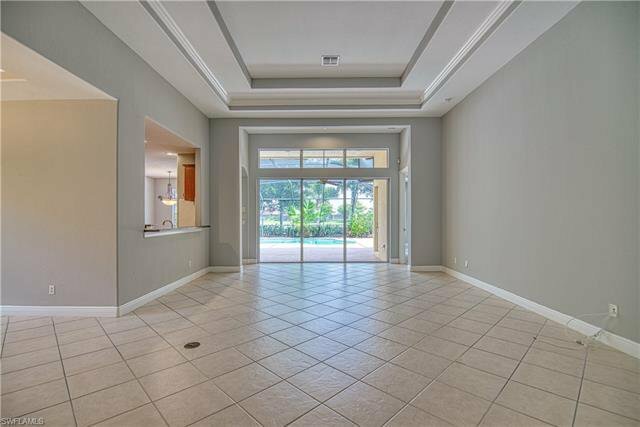 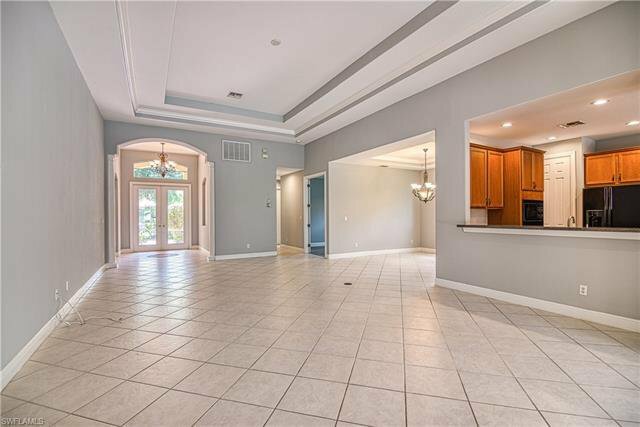 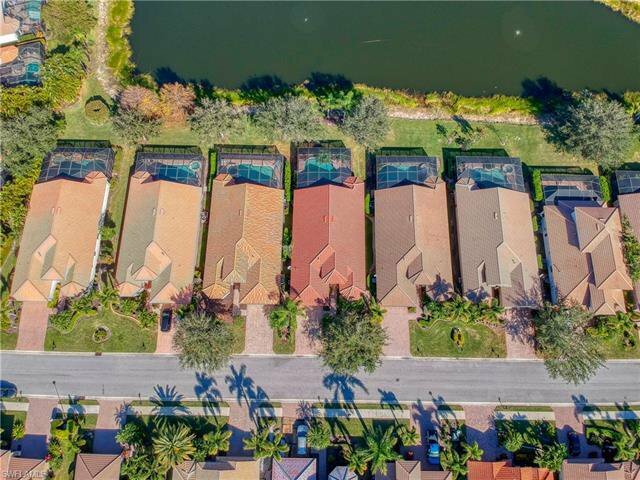 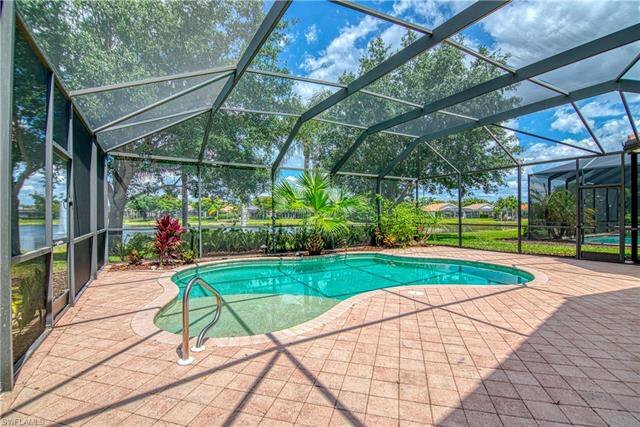 Belle Lago amenities include clubhouse, gym, pool, spa, community room, Har-Tru tennis courts, pickleball, bocce ball, and memberships to Estero Country Club are available.